New flare ups on the River Fire and Ranch Fire in Lake County triggered new evacuations and a massive air attack. NBC Bay Area's Sergio Quintana reports. Firefighters battling massive blazes throughout Northern California reported some success keeping the fires away from heavily populated areas Thursday as they made further progress in containing a blaze that already destroyed 1,000 homes. One of the fires moved deeper into the Mendocino National Forest, "an area with some hunting cabins and some private property but no towns," Lake County Sheriff Lt. Corey Paulich said. 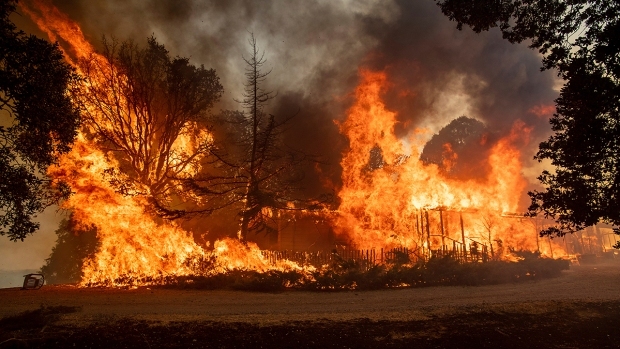 Still, just a month into the budget year, California has already spent more than one-quarter of its annual fire budget, at least $125 million, state Department of Forestry and Fire Protection spokesman Mike Mohler said. As firefighters work to contain the Carr Fire in Redding, the area is planning a rebuild and turning to a Bay Area community for guidance. Sam Brock reports. "We're being surprised. Every year is teaching the fire authorities new lessons," Gov. Jerry Brown told reporters Wednesday. "We're in uncharted territory." "People are doing everything they can, but nature is very powerful and we're not on the side of nature," Brown said. The largest blaze burned in the Redding area, in Shasta County north of Sacramento. Six people, including two firefighters, have died and the fire has destroyed 1,060 homes and nearly 500 other buildings, including barns and warehouses, making it the sixth most destructive wildfire in California history, state fire officials said. Last Thursday, winds exceeding 143 miles per hour formed a fire whirl between 7:30 p.m. and 8 p.m. in Redding that caused the collapse of high tension power line towers and uprooted trees. Sacramento's National Weather Service and Cal Fire are conducting a survey to see what other damages were caused. 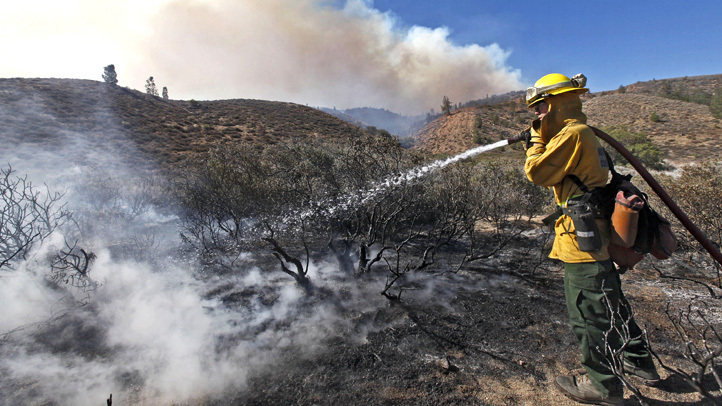 Just a month into the budget year, California has already spent more than one-quarter of its annual fire budget, at least $125 million, state Department of Forestry and Fire Protection spokesman Mike Mohler said Wednesday. Anser Hassan reports. 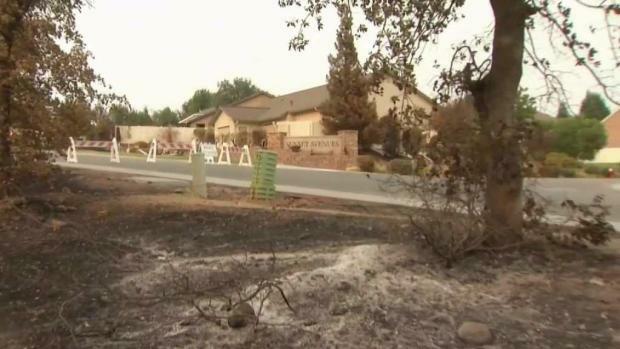 The fire, which has torched more than 196 square miles of land, was only 35 percent contained after more than a week. "Unstable conditions, shifting winds, steep terrain, and dry fuels continue to challenge firefighters," a state fire update warned Wednesday evening, noting that 35-mph wind gusts were expected on ridge tops that could whip up the flames. Meanwhile, at least three new fires erupted Wednesday in the Sierra Nevada region, including a blaze in Placer County that had consumed 1 1/2 square miles (4 square kilometers) of land. Twin fires — the Ranch Fire and River Fire — also burned in Mendocino and Lake counties. They burned 172 square miles, 14 homes and threatened 12,000 more. The fires are 39 percent contained. The Lake County Sheriff's Office on Thursday upgraded a current wildfire evacuation advisory to a mandatory evacuation in western Lake County. The mandatory evacuation zone is areas west of Lucerne at Bartlett Springs Road and Highway 20, south of the fire, east of the fire, north of Clear Lake including the communities of Blue Lakes, Upper Lake, Nice, Lakeport, Witter Springs, Bachelor Valley, Scotts Valley and Saratoga Springs. A 107-square mile fire near Yosemite National Park prompted evacuation orders Wednesday for the community of Wawona inside the park, which has fewer than 200 residents. Yosemite Valley and other areas of the park have been closed to tourists since July 25 because of heavy smoke from the fire, which is only 39 percent contained.